Smith 1010 Roof Drain KIT, UnderDeck Clamp, Receiver, CI Dome, 4 in. PRODUCT: SMITH 1010 COMPLETE DRAIN KIT, 16 INCH OD FLANGE, LOW PROFILE 11-1/4 INCH CAST IRON DOME, ALUMINUM UNDERDECK CLAMP, GRAVEL STOP, SUMP RECEIVER, 15 INCH BODY, 4-INCH NO-HUB OUTLET. PRICE/EACH. 11-1/4 INCH SMITH REPLACEMENT BLACK POLYETHYLENE (HDPE) PLASTIC DRAIN DOME, #1010D 11-1/4 in. OD x 5-1/4 TALL WITH 3 LOCKING TABS. FITS ALL SMITH 1010 / 1020 SERIES DRAINS. SMITH PART 71445. PRICE/EACH. 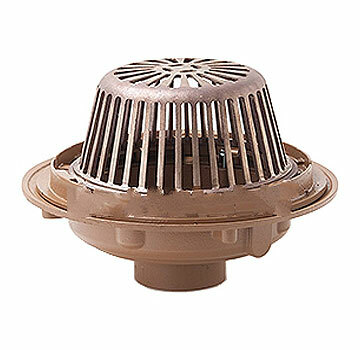 SMITH REPLACEMENT ALUMINUM DRAIN DOME 11-3/4 OD x 5-1/4 HIGH. FITS ALL SMITH 1010 SERIES DRAINS. PRICE/EACH. 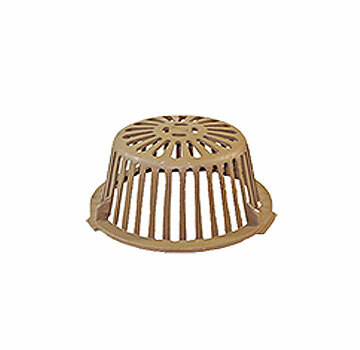 11-3/4 inch OD x 5-1/4 High Smith Replacment Cast Iron Drain Dome. Fits Smith 1010 and 1080 Series Drains. Price/Each. Smith 1010C Cast Iron Flashing Clamp / Gravel Stop / Drain Ring, Fits Smith 1010 Series drains with 15-1/4 to 16 inch flange (not items with 20 inch flange). Price/Each. Wade 3000 Complete Poly Roof Drain Kit. Includes Flange, Flashing ring, Gravel Stop, Polypropylene Drain Dome. Available in 2 inch, 3 inch, and 4 inch sizes. Inside Caulk Outlet. Price/Kit.